In some rural and urban slum areas, the use of Pinguino is a pedagogical support for educators and a tool for the acquisition of knowledge and skills for children. We take pride in contributing to these kind of initiatives but it’s sadly not enough. These schools are affected by a blatant lack of resources. 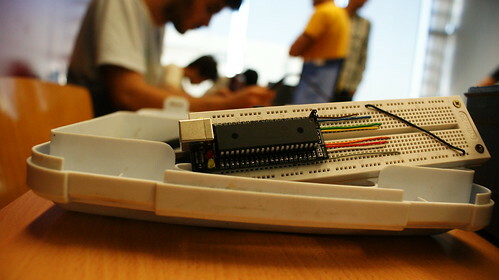 The Makers UPV is a community of students from the Universitat Politècnica de València (The Technical University of Valencia, Spain, with a focus on science and technology). This group was created to get the opportunity to learn all that is not teach in University from a practical point of view. This includes visits to industries, participation in various competitions and workshops, group projects, modern manufacturing techniques and quick prototyping. 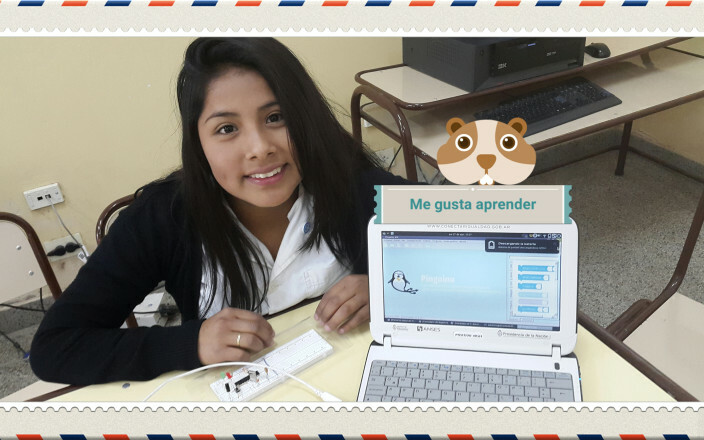 They have chosen the Pinguino 45K50 to experiment the building and the programming of micro-controllers. I hope soon to be able to present some of their projects. Leonardo is a teacher in a high-school located in Trelew, province of Chubut, Argentina (just for the small history it is truly close to real Penguins, Trelew is close to Punta Tombo also called “paradise of the penguins”). He has been working on a Pinguino board based on the PIC18F4550 with pedagogical purposes. The idea is to build an ecosystem around the Pinguino environment, with shield/capes and everything needed to quickly setup and run complex systems. Great work guys ! Keep on the good work. Susanne from Germany has started a nice project she calls AquaPinguino. She has built a system with automatic monitoring and control of every major water and lighting factors for her seawater aquarium. She made a double side board controlled by a Pinguino32 Micro with relays on one side to control lights and mosfets on the other side for pump flow regulation. At the moment the LED-light can only be turned on and off for day/night simulation but Susanne has also planned to simulate sunrise/sunset and maybe lunar-phase. Pinguino’s PWM can drive up to four 12V pumps. One is for water level regulation and pumps demineralised water from a canister into the aquarium. 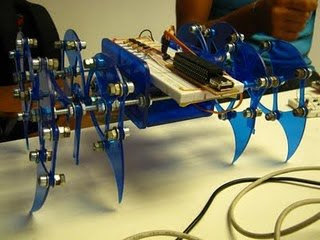 The other ones can simulate waves, streams and also basic high/low tide. 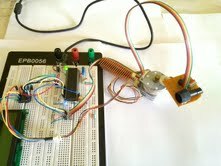 Next step will be to add temperature control to drive air fans in order to cool water in the summer season. She also plans to add alarms for water level control and redox potential sensor to regulate a calcium reactor. All information are displayed on her self-made “console terminal” with 6 buttons and a 16×1 LCD display. 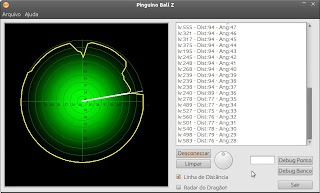 Pingubot is a small robot based on Pinguino 8 bits. Furri and Bastian designed this board to teach how to drive a robot with Pinguino. 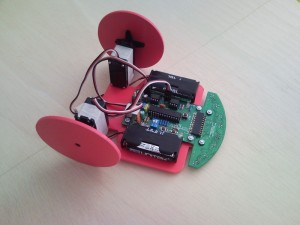 The first PinguBot workshop will take place in the OSHWcon event in Madrid. Unfortunately, there is only 16 participant and registering is already closed. We hope we will have soon another workshop somewhere in Spain. Congratulations for this great initiative. The last 3 month were dedicated to Pinguino32X development. It’s time now to publish the first version of the IDE. What is new in this release ? I didn’t write a complete list and we still need to define all the changes. For 8 bits boards, Pinguino is now almost compatible with Arduino language, most of the new features are already detailed in the pinguino wiki ( http://wiki.pinguino.cc ). 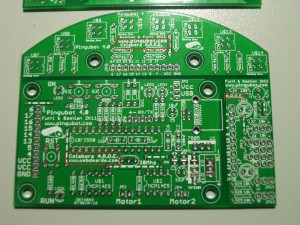 The major improvement of this release is the support of 32 bits board. You can now use Pinguino on a 80MIPS system. The compiler for this release is available in a separate package. Built from GCC 4.5.2, it is a standard MIPS C compiler. The development team is already working on the C++ version of this compiler with newlib libraries. This board should be available soon, the end user price is around 30€. I will be in Paris tomorrow at Solution Linux event to show the new board and his development environment. I will present this board on the FEDORA stand, the good news is that Pinguino should be incorporated in a next release of the FEDORA EL package ( EL is Electronic ) and I’m very pleased to publish the new version for this event. We are working hard to release the Pinguino IDE with support of 32 bits. It will be a mini board with maxi power !! Marcus is still active, working on a great project with Pinguino. 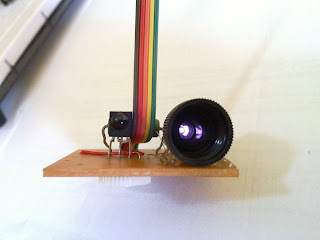 He built this radar with an IR sensor and an IR LED. The software is coded with QT and the sensor can see at 360° with a small stepper motor. Range is about 20 cm to 120 cm. More info soon on Marcus Website.